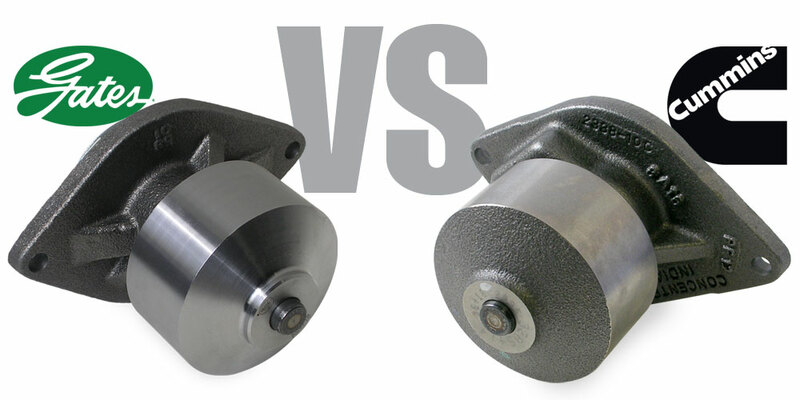 Our customers frequently ask us, “Are the Gates water pumps you carry any good?” With the large difference in cost between the ’89-’02 Dodge Cummins water pumps (Gates 41181: $41.95, Cummins 3286278: $129.95), we can understand how you would be skeptical about the quality of a water pump that is 1/3 of the cost of the Cummins-branded one. So, let’s do a visual comparison. The two pumps chosen: the Gates 41181 and the Cummins 3286278. While this visual will apply to the pump for the Second Generation truck, the differences in the pumps are similar with other year ranges. The Gates pump offers a limited lifetime warranty against manufacturers defects as long as you’ve installed it correctly. An O-ring is included with the water pump so you won’t need to use any silicone sealant to install it. The first thing that you notice when the Gates is placed next to the Cummins pump is that the Gates pump has a much nicer wrinkle coat finish (it would look good on a show truck) and the casting looks very clean. It does not have the country of origin stamped into the body of it. The pulley spins quietly and true just like the Cummins pump does. 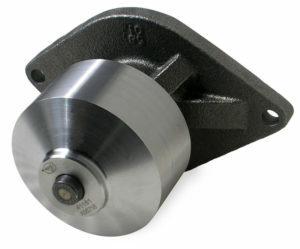 The surface of the pulley does not feel as smooth as the Cummins, but it does not feel rough by any means. The pulley turns smoothly without noise and spins true. 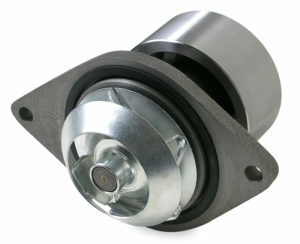 Gates 41181 water pump with shielded impeller. The Gates pump uses a shielded impeller design which has a metal ring attached to it as well as a plate underneath the blades of the impeller. The weep hole has been relocated on the back of the housing to the outside. 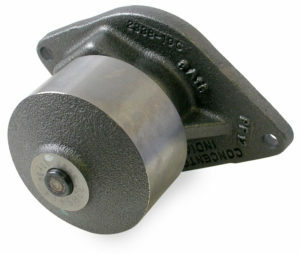 The Cummins brand 3286278 water pump for ’89-’98, 12V Dodge Cummins trucks. The Cummins pump housing is stamped with “Concentric” as the manufacturer. The pump has a similar casting to the Gates pump with the pulley surface being about the same as well. The pulley spins quietly and true just like the Gates pump does. Cummins 3286278 water pump with open impeller. 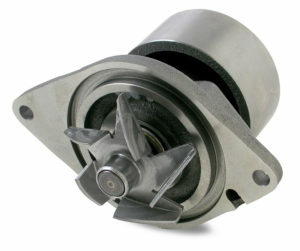 The impeller in the Cummins pump is also a five blade metal design, but is open rather than the shielded design of the Gates. Under the impeller is the same coating as what is on the exterior of the pump, and looks to be machined to a finer surface than the Gates pump. 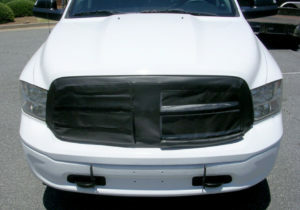 The weep hole is tucked away against the block for minimal amount of exposure. We’ve answered your questions and given you pictures to compare. Our advice? Pocket the money: take the wife/girlfriend out to dinner; purchase some other accessories for the truck; fill up the tank for a road trip, there are lots of things you can do with $88.